Hi! 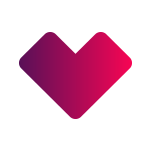 I'm Javier Ramello and today I'm very proud to say that we have made the first steps for the development of VRLove. Though the startup was funded more than a year ago by a group of passionate people, this will be the first video game project. At the moment it's.